Adorned with gold leaf and intricate embellishments, the pagodas peppering Asia are wonders to behold. Along with the bold design, the pagodas are also impressive for their sheer size. Most pagodas were built to have a religious function, most commonly Buddhist, and were often located in or near monasteries. MailOnline Travel, with inspiration from Thrillist, has scoured the globe for some of the most mesmerising pagodas. 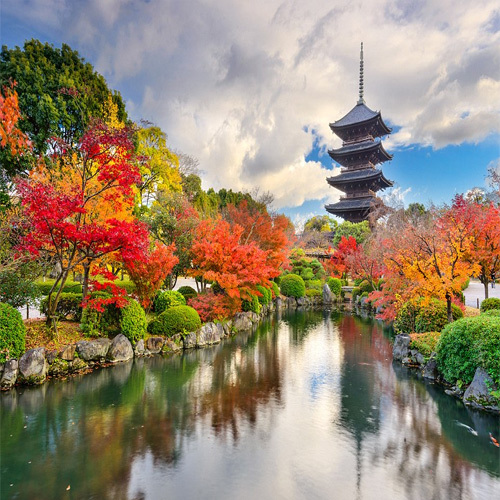 This incredible image of Toji Pagoda in Kyoto Japan, looks all the more splendid thanks to the kaleidoscope of leafs surrounding it.